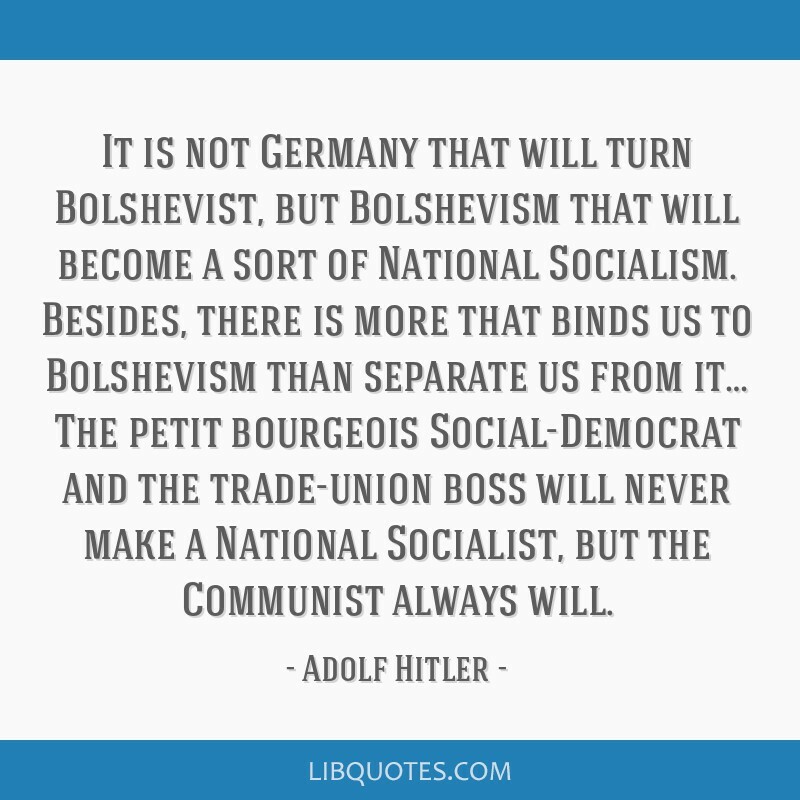 It is not Germany that will turn Bolshevist, but Bolshevism that will become a sort of National Socialism. 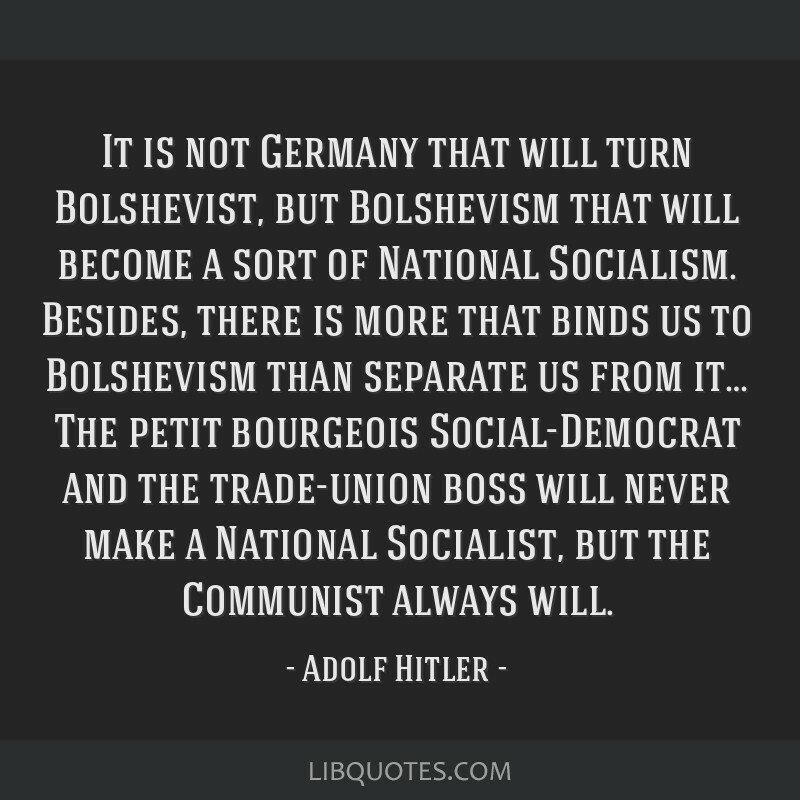 Besides, there is more that binds us to Bolshevism than separate us from it… The petit bourgeois Social-Democrat and the trade-union boss will never make a National Socialist, but the Communist always will. 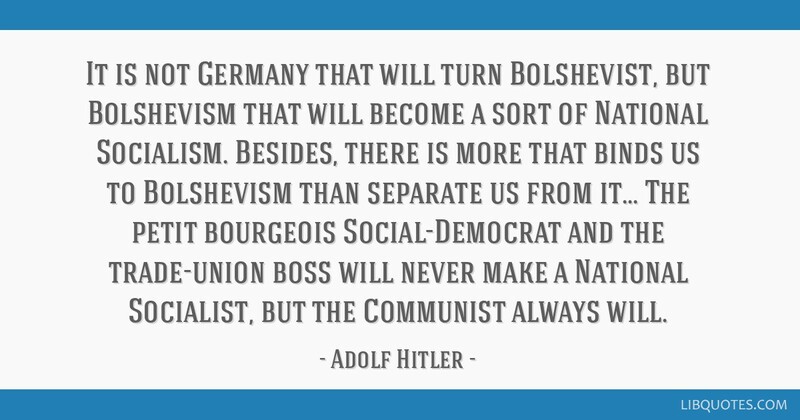 As quoted in Hermann Rauschning, The Voice of Destruction, New York: NY, G.P. 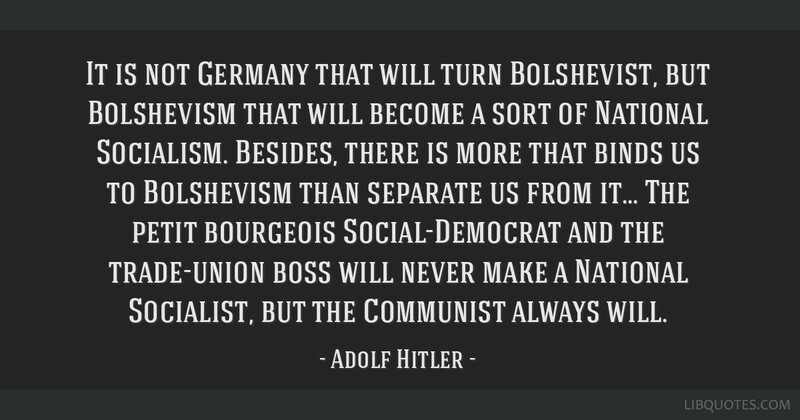 Putnam's Sons (1940) p. 131.